Another pretty Christmas card Pat. What a lovely Christmas card, Pat, I love the image! Beautiful Christmas card Pat... Enjoy the rest of the weekend. 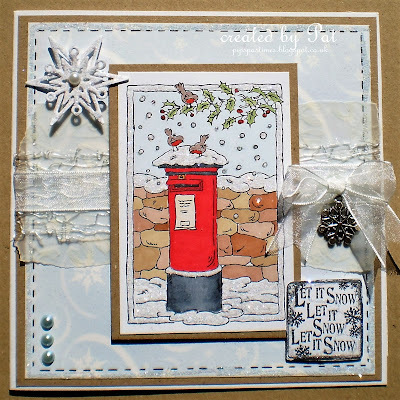 Charming card Pat - love these kind of mail boxes and I am a real bird lover. Living on a island in North Florida I will never see snow again. Oh woe is me!